We consider a second-order differential equation that is a mathematical model of transverse vibrations of a string or longitudinal vibrations of an elastic rod. 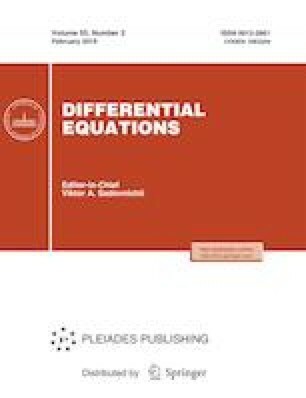 The coefficients of the second derivatives are piecewise constant functions. An existence and uniqueness theorem is proved and an explicit formula is given for the generalized solution of the Cauchy problem. Russian Text © D.S. Anikonov, D.S. Konovalova, 2019, published in Differentsial’nye Uravneniya, 2019, Vol. 55, No. 2, pp. 265–268.